We are heading into the winter season and temps (hopefully) will start to drop. Sooner or later, you’ll need to finally fire up the furnace. If you’ve already had your furnace professionally tuned up for the season, you probably won’t have any problems flipping the switch for the first time. But if no one has touched the furnace since the spring thaw, you may need to make some basic preparations before your first heating cycle of the season. 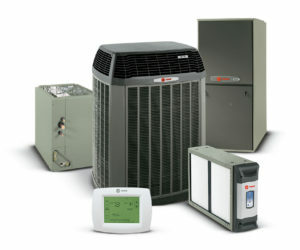 After months of inactivity, your furnace does what everything else in your home does — it collects dust. And as you use your air conditioner less and less, dust may even accumulate inside your ducts and vents. This typically goes unnoticed until the first time the furnace warms up, at which point all those dust particles turn to toast. Burning dust is a harmless ritual at the start of each heating season, but if you’re bothered by the odor, you should prepare by opening windows and doors right before you activate your furnace for the first cycle of fall. With good air circulation, the odor will come and go in a matter of minutes. But if it lingers for hours, long after a year’s worth of dust should have burned away, it’s time to call your local HVAC technician for a professional inspection and tune up. Change the filter. After a few weeks of minimal HVAC activity, it’s easy to forget to change the filter. 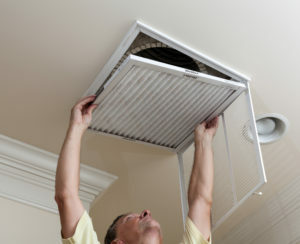 Start the heating season off right by replacing yours if it’s dirty and clogged. Clear the furnace area. If your furnace is located in a storage area of your home, take heed of things you may have moved around during cooling season. Any flammable materials left propped against the furnace constitute a potential fire hazard. Test your thermostat. Even if your thermostat worked reliably in cooling mode, it’s worth double-checking its accuracy in heating mode. Take a digital thermometer from room to room to make sure your home is heating accurately and evenly. Check and replace weather stripping. You should have some form of weather stripping on every window and exterior door. But time and the elements can take a toll, and weather stripping may peel or become cracked. Wherever you find damaged weather stripping, replace it before it turns into a chilly draft. Have your chimney inspected and cleaned. If you have a functional wood-burning fireplace that you intend to use, complete this service before building your first fire. Trim your trees. Pay attention to tree limbs that could fall onto power lines or through windows if they were to suddenly break. If you live in an area that experiences ice storms, the added weight of ice buildup could very well bring those limbs down. Test your carbon monoxide detectors. Cracked furnace heat exchangers are among the most common causes of carbon monoxide leaks. During heating season, make sure you have at least one carbon monoxide detector for each floor of your home, and test those detectors monthly. Winterizing your home can save you money all winter long while keeping your living space comfortable. If you need expert assistance getting your home ready for heating season, or if you’re overdue for a furnace tune-up, contact Sirius Plumbing and Air Conditioning today. Also, check out our seasonal maintenance plan.